Pluss were already a web client of Cosmic's, but they approached us to redesign and redevelop their website in order to keep up with modern web trends. The website received a full makeover - a clean new design was implemented to compliment their branding, and lots of fantastic photographs. 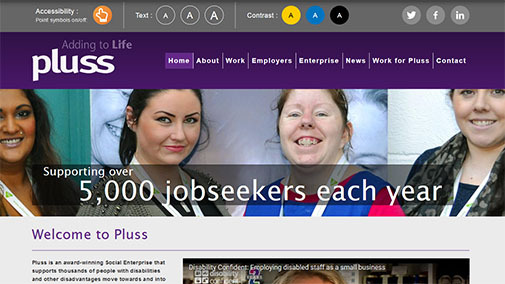 The website features a wide variety of content types - the Pluss team has the ability to add case studies, awards, news articles, partners and much more. There are contact forms so that interested parties can get in touch with the Pluss team, as well as a sign up form for e-newsletters supplied by Cosmic's mailing platform eSender. The website is responsive; this means that the display alters depending on which device you are accessing the websiite from. "We have had overwhelmingly positive feedback about the website. So a big, big thank you".